NEWS FLASH! I recently purchased a mirror-less camera. The gadget affords AWESOME auto-focus, as well as brilliant color. As a result, I was able to self-film, for the first time ever, today’s recipe in guh-lorious high-definition. You can make the pastry dough well-ahead of time. Refrigerated, the dough will stay fresh and wonderful for up to 2 days. 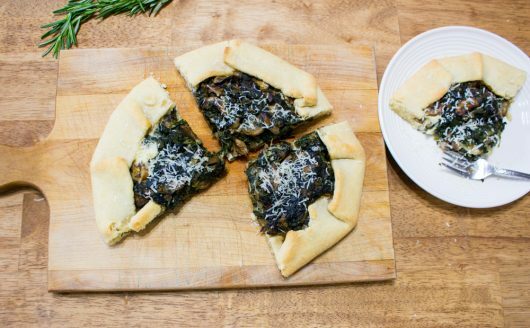 You can make the mushroom-spinach-rosemary filling (as well as the ricotta cheese base) in advance, too. They’ll hold up just fine for 2 days in the fridge. A vegetarian main course that smells as wonderful as it tastes. Delicious hot, warm, or at room temperature. 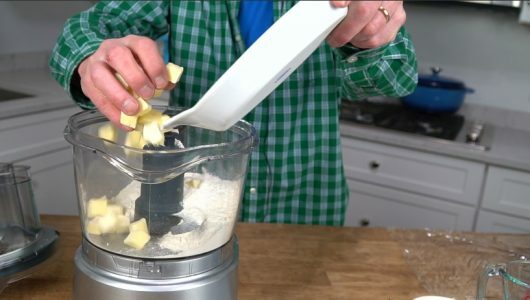 Making the pastry dough -- Tip the flour, salt, and butter into the workbowl of a food processor. Pulse the machine 10 times just to break up the butter. Then add the ice water, and process until the dough begins to mass on the blade -- 5-10 seconds. Dump the dough onto a non-floured work surface, and gather it into a ball. Flatten the ball into a disk, and wrap in plastic wrap. Refrigerate for at least 1 hour. Making the mushroom filling -- Warm the oil and butter in a 12-inch skillet over medium heat. Add the onion, mushrooms, spinach, rosemary, and seasonings. Cover the pot and let the onions and mushrooms steam until soft -- about 2 minutes. 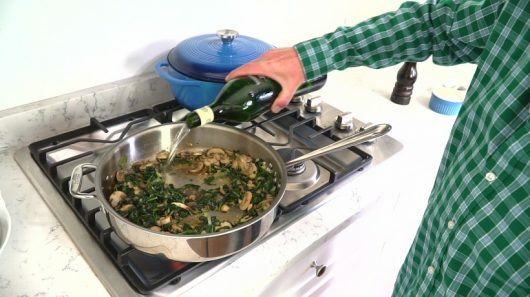 Remove the cover, and toss the ingredients about with a spoon or spatula until the mushrooms have rendered their juices -- about 5 minutes. When juices have evaporated, stir in the vermouth. Cook until the vermouth evaporates -- about 1 minute. The cheese base -- Pour the two cheeses and the rosemary into a medium bowl. Stir to combine. Rolling the dough -- Let the dough warm to room temperature for about 20 minutes. Then roll the dough into a 12-inch-diameter circle. Assembling and baking the galette -- Center the oven rack; heat the oven to 400°F. Transfer the dough to a rimless, parchment-lined baking sheet. Spread the cheese base over the dough, leaving a 2-inch border all around. Spoon the mushroom mixture over the cheese. Then fold the 2-inch border of dough over the filling, making pleats every 2 inches or so. Gently pinch the pleats to seal. Bake in the preheated oven until the pastry browns slightly -- 25-30 minutes. Let cool for 5 minutes, then transfer the galette to a wooden board for easy slicing. Serving -- Garnish the galette with finely-shredded Parmesan or Asiago cheese. Serve hot, warm, or at room-temperature. Hi MaryB – The galette tastes even better than it looks! I can attest to this tasting as amazing as it looks and sounds folks!! That pastry- well I could eat just about anything wrapped in that deliciousness!!!! Perfection!! The ricotta is the ideal creamy companion for the savory spinach and earthy mushrooms- made incredibly flavorful and aromatic with the vermouth and rosemary! A perfect offering for spring serving!! Thanks for sharing Kevin!!!! Now that is something I have GOT to try! I can almost taste it! While I love the fragrance of Rosemary I do not love the taste. Is there another herb that would be equally delicious….one that would enhance the other flavors? Perfect for spring. What dessert would you serve with the galette and salad? I am having a luncheon. Hi Ann – Tarragon (fresh or dried) could replace the rosemary in this recipe. Hi Meghan – Here are 3 springtime desserts that could follow the galette (click recipe titles): Rhubarb Upside Cake; French Macarons; Chocolate Chunk Cookies with Fresh Mint. All my favorite things – mushrooms, spinach, onions, ricotta cheese, and rosemary. Basil or thyme would work for me as well. Will make this for book club in May. I love the various galette recipes you’ve shared. 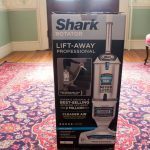 They are so quick and easy and guests think I’m amazing – isn’t that great? They travel well also for picnics at the outdoor theatre venues which we do many times during summer. 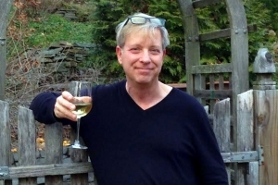 Hi Ardelle – So glad you like my galette recipes. As you said, this one is GREAT for a picnic! Yum I am definitely making this, thank you. I am also going to try it with gluten free King Arthur Flour for our son. Hi Kathleen – If you try this recipe with the King Arthur GF flour, please let me know the results. I haven’t yet tried that flour for galette dough! This galette is AMAZING! 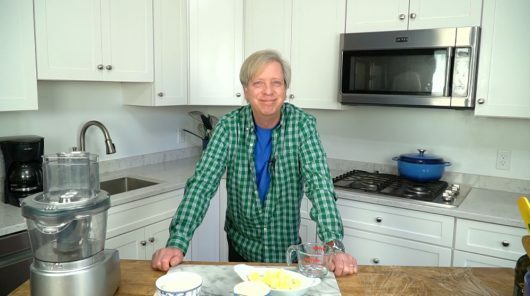 I had less than 24 hours from St. Patrick’s Day to prepare an entree for an unexpected out-of-town vegetarian guest who obviously wasn’t going to be partaking in the corned beef and was reported to shun eggs, save in baked goods (Too many quiches?) I found this recipe in Kevin’s cookbook and boy, was it a hit! Rave reviews! Hmm, may have to make it again soon! Thank you, Kevin! 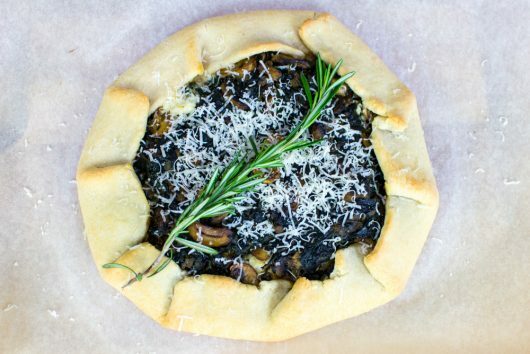 I’ll make the galette (crostata) this week for an exceptional meatless meal! 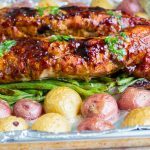 Yesterday I served the pork tenderloin sheet pan recipe to a fussy bunch—— they devoured it! Thanks for the good vibes, Kevin. Sunday mornings are even more enjoyable with the video and extra tips! on an egg wash (suntan lotion for pastry)… to give it a nice shine. Hi Lois – Happy to read that both the galette and the sheet pan dinner worked out for you. Also, thanks for buying my cookbook! Hi Kirsten – Egg wash is definitely welcome on this pastry crust! 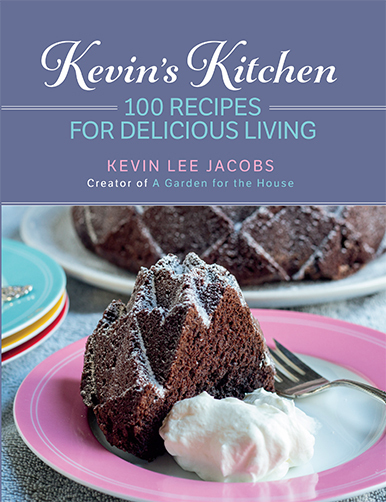 OMG – you have a cookbook Kevin?! ( it’s been too long…will check it out) thank you for this recipe – am inspired to try it. Superlative! Not having Ricotta in my fridge I used some cottage cheese mixed with some tangy goat cheese. Just delicious! I’ll be doing this again! I have used this pastry recipe a couple times and when I use it with just the ingredients you use mine will not stick together so I have to add more water. Any suggestions?